The last day of 2018 nearly became the final day of Stomper Nick's life after a loose rock flew towards his car while he was travelling on the Bukit Timah Expressway (BKE) towards Woodlands. Nick's wife, who is six months pregnant, was in the passenger seat when the incident occurred at around 2.30pm that day (Dec 31). Nick recounted the incident: "There was a very light drizzle before the heavy downpour later that afternoon. There were no heavy vehicles in front of me. 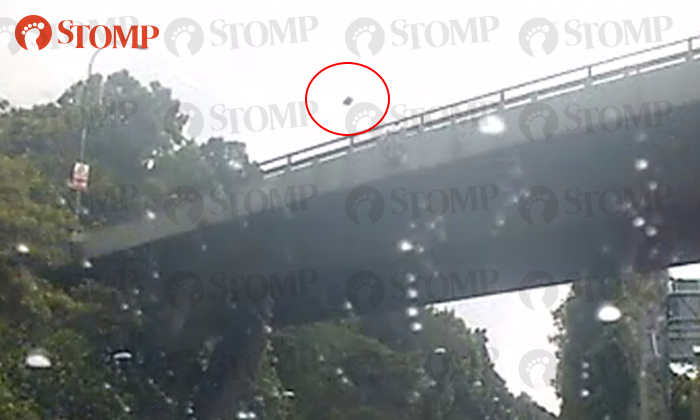 "As we approached Rifle Range Flyover just above us, we suddenly heard a startling crash! "I thought my engine exploded or something like that. 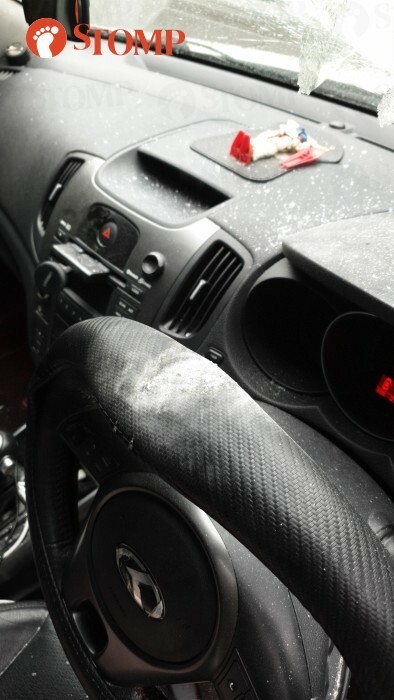 "My wife and I were shocked at the gaping hole and cracks left on the windscreen. Dust and glass particles were already irritating our eyes a bit, and we sustained some scratches. "It was too sudden! Out of the blue!" Nick initially pulled over on the road shoulder, but then drove towards the Eco-Link @ BKE bridge that was slightly up ahead to take shelter as he was expecting a downpour. "I called my insurance company and they arranged for us to be brought to safety, from the BKE to a carpark at Dairy Farm Nature Park," he said. "We then waited for a tow truck to bring us to the car workshop." It was only at the Dairy Farm Nature Park carpark when Nick got to properly inspect the damage on his car and identify the culprit: A huge rock. 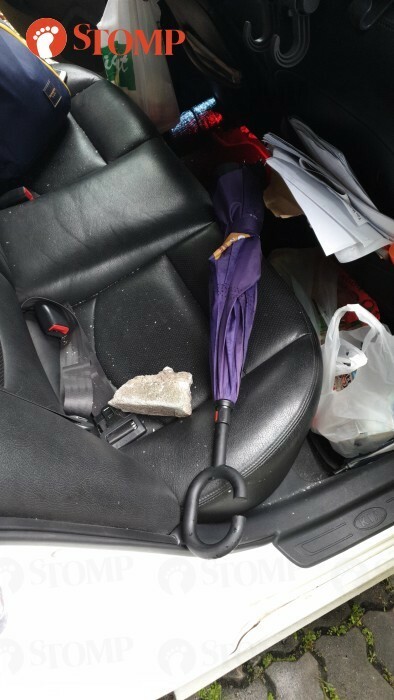 He told Stomp: "I found the large piece of rock on the floor where the rear passenger seats were, behind my driver's seat." "My wife and I were utterly shocked at the size of the rock! I realised we could have died that day," shared the Stomper. "My steering wheel bore the full force of the flying rock. Otherwise, I believe my neck or chest would have been smashed in. "If my left hand had been on the part of the steering wheel that was struck and bent inwards, I would have lost my left hand." Nick also said: "That large rock did not ricochet to hit my wife. Thank god nothing happened to her. "We believe that the steering wheel altered the trajectory of the rock's flight path, flew past through the space between my head and my wife's head, and hit the rear seat in the middle before bouncing off onto the ground." A video captured by the Stomper's car camera shows the moment when the rock came flying out of nowhere and shattered his windscreen. A loud smash can also be heard. Nick, who hopes to highlight safety issues involving flyovers by sharing his experience, added: "I really can't fathom how this happened. Not sure if the loose rock was from a heavy vehicle that was transporting construction debris. "We are in shock and in disbelief. Thank god nothing happened to my wife. There might have been a different outcome if it was one second slower or faster. "It could have been anyone. Imagine if the rock had hit a motorcyclist on the head? Imagine if there had been another person/child in the rear seats? No one could have avoided that. 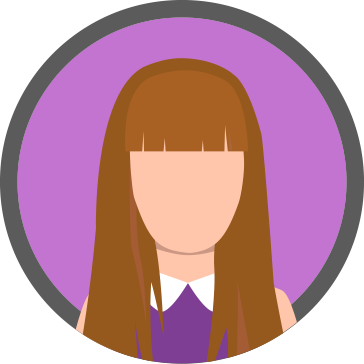 "It was a scary experience. We didn't die, but the last day of 2018 could also have been the last day of our lives."